Dette américaine: 328 milliards de plus en une seule journée ! With the following instructions you should be able to compile Mame on Ubuntu 13.10 Saucy Salamander. It should also work in any other version of Ubuntu too. Unzip the file, and then unzip that file. Place it anywhere you like. 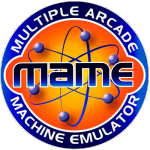 Next we install all the libraries and dependencies necessary to build mame. Finally, lets get to building it.